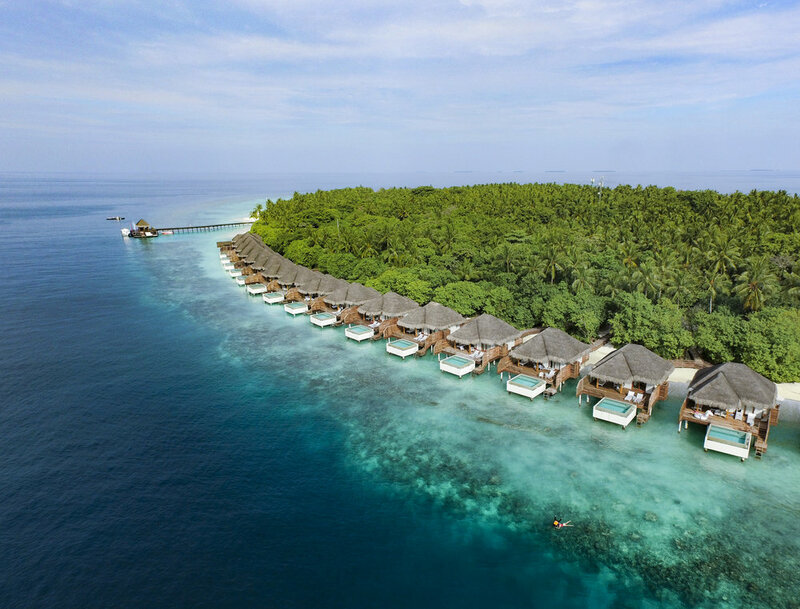 Dusit Thani Maldives brings graceful Thai hospitality to the Indian Ocean, located at the UNESCO protected Baa Atoll, just 35 minutes by seaplane transfer from Male. 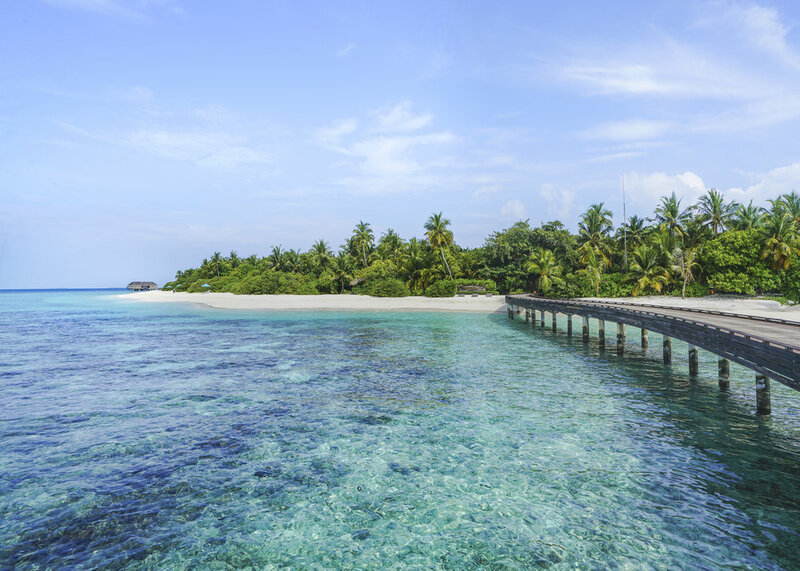 Guests can also choose to fly to the domestic airport in Baa Atoll and it only takes 10 minutes by speedboat to get to this beautiful island. The natural vegetation here at Dusit Thani creates a jungle-like interior, all the guest rooms are surround the island. Similar to most luxury resorts around the Maldives, Dusit Thani features both overwater villas and beach houses. There are a total of 8 categories of room selections to choose from, accommodating up to 6 guests per room. The local island where Dusit Thani is situated on is called Mudhdhoo Island, the surrounding house reef on this island is beautiful. My favorite room accommodations here at is definitely the overwater villa with pool, guests can easily explore and snorkeling around the coral reefs just few steps from the room. When it comes to a Thai resort, most people immediately associate to their spa. Dusit Thani has the first and only Treetop Spa among all the island resorts in the Maldives. Guests can unwind and relax when surrounded by tropical lush. The relaxing area at the Devarana Spa is also a nice getaway and separation from the beach, also gives the feeling that you're enclosed in the jungle. Moreover, Dusit Thani also has one of the largest infinity pool in the Maldives, so guests can enjoy for a good lap swim if they prefer to stay un-salty for the day. The Market, main dining center where breakfast is served in buffet style, a good range of international cuisine, but have a slight emphasis on Asian food choices. Perfect for those who have an asian cravings for breakfast. Besides themed buffet dinner, the Market also offers an a la carte menu. Sea Grill, located by the poolside overlooking the beautiful lagoon, serves fresh seafood and steaks grilled to your preference. Some of their signature dishes includes: Pan Seared local reef fish, a-corn fed chicken and sirloin steak, etc... A glass wine cellar also offers many selections from the vineyards worldwide. Benjarong, the signature Thai restaurant on the island, also my favorite restaurant on this island. Coming from an asian standpoint (me), Benjarong serves authentic Thai flavors! The Sala and Sand Bar, perfect areas to relax and enjoy the ocean view with a glass of refreshments.